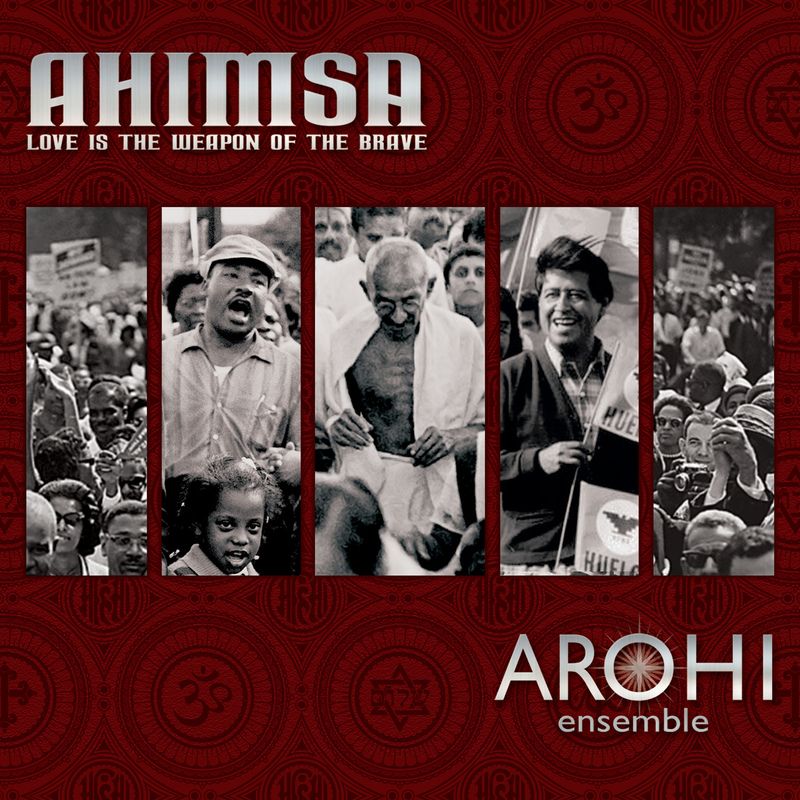 ‘Ahimsa, Love is the Weapon of the Brave’ is a new release featuring the music of Arohi Ensemble weaving the classical ragas & intricate rhythmic architectures of India with the counterpoint of chamber music and gamelan in a synthesis of global musical traditions. A collaboration of leading creative artists from India, Venezuela & Los Angeles, Arohi include three disciples of the legendary ‘godfather of world music’ Pandit Ravi Shankar. into s contemporary format of ragajazz chamber music. Arohi means ‘ascending melody’ and Ahimsa is the Sanskrit word for ‘nonviolence’. The release is dedicated to the courageous form of conflict resolution which faces a violent aggressor with nothing but ‘soul force’. The music journeys from meditative ragas to dynamic polyrhythms and improvisations expressed in the free spirit of jazz; move through this music with us in the spirit of ahimsa.